I am thinking about buying a black Greco LP Custom to go along with my honeyburst Tokai. A shop that I know of just received some Grecos from Japan but I am having a hard time figuring out the exact models and specs. 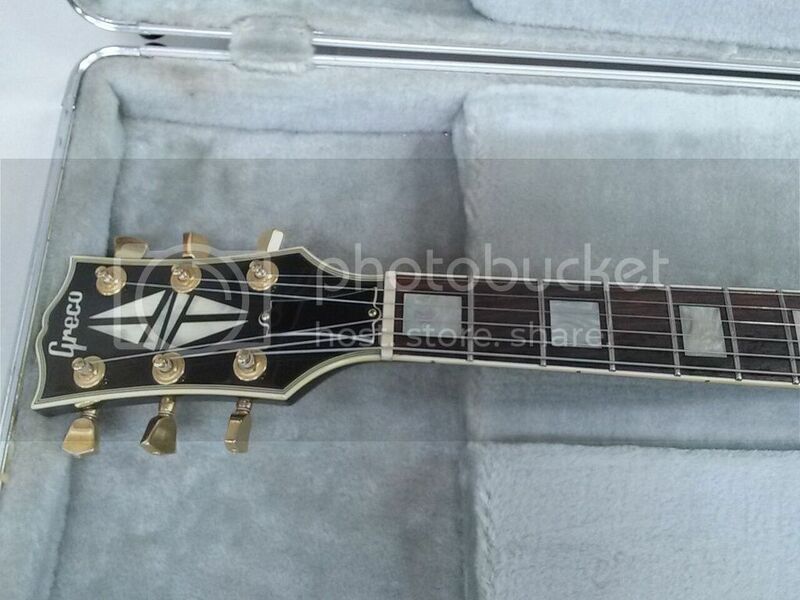 The serial number is "9 7655" and the guitar has a single bolt seen from the back. From what I researched the 9 seems to indicate that it was made in Japan, in 79 or 89. And the single screws may indicate that it is from the seventies. Unfortunately I also read that the single screw was normally used in cheaper guitars with Norlin type sandwiched woods. The guitar seems to be in mint condition, can you please help me identify the model and woods used? Thanks Marcus, I' have addaed some photos. With that serial number and the double split diamond it is from '89. Fujigen made but since it has the extra bolt on the back body it does mean a lower end model. I don't think it would be a sandwich body but might not be a solid top. 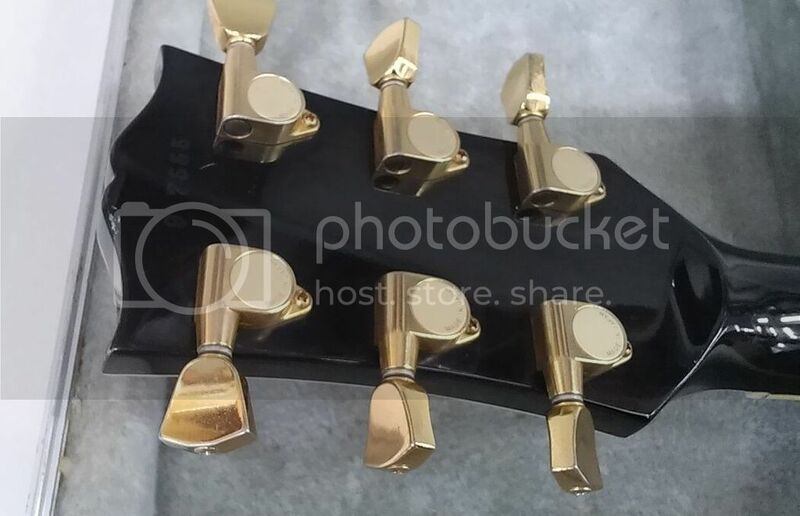 You'd have to ask for some pictures inside the pickup routes to confirm a solid or semi-hollow top. Good luck. Thank you for the help. It's good to know that it comes from the Fugigen factory, everything I tried from them has been great. Unfortunatly they are asking for around 650€ and it may be a bit overpriced for a lower end guitar. They have some other grecos but according to the seller this one is the one in best general condition. Well not that i know the value of a pound but converting that 650 into my $$ i agree with you it is overpriced. It seems to be around 940 Canadian Dollars. It seems that I will have to keep searching for the right one.